Researchers are often quoted saying that the darker the food, the healthier it is for you, meaning that the fruits and veggies that are the most vibrant in color have the most nutritional benefits. If you bite into a cherry and notice the deep, deep red stain throughout this tiny powerhouse, you’ll be convinced that cherries are a prime example of this research. Cherries, while full of antioxidants and important nutrients, are also known for their potential pain-relieving capabilities. They have flavonoids called anthocyanins 1 and 2 that may be able to reduce muscle and joint soreness, meaning they may be a great snack for athletes and people with arthritis! Even more, cherries are a great source of beta carotene (tart cherries have 19 times the amount found in blueberries! ), vitamin C, fiber, iron and potassium. 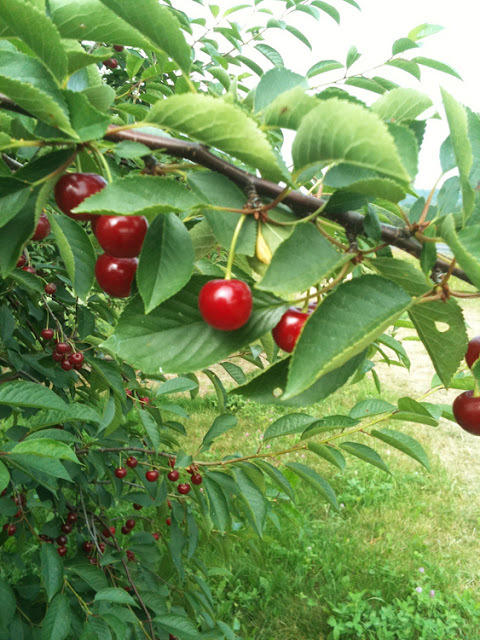 But what may be the best part of all: tart cherries (especially the Montmorency variety) contain melatonin, a chemical that may help regulate sleep patterns, making them an ideal treat in the evening!Enjoy!